This 3 drawer bedside is a stunning example of why we at HomesDirect365 only offer you the highest quality of furniture, expertly crafted from wood and mirror materials, this gorgeous beside is a must-have addition to any style of room. An essential part of any bedroom, this 3 drawer bedside table will effortlessly allow you to store away your bedroom essentials while also giving you some additional tabletop surface for your displayable accessories such as lamps, photo frames and ornaments, whilst elegantly adding style and light to your home. 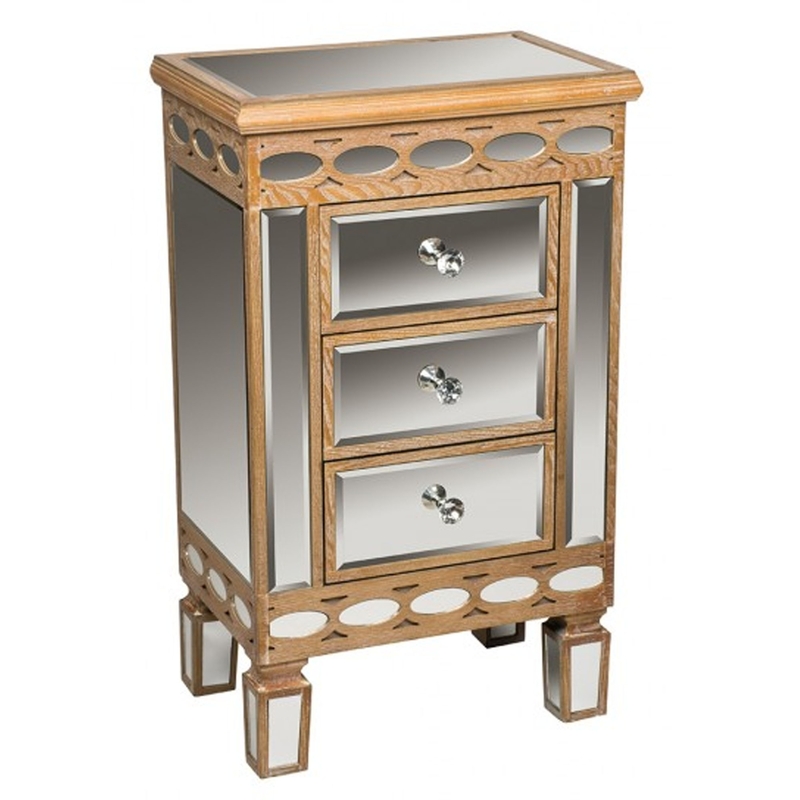 Featuring crystal like handles, this wonderful bedside table will be an eye-catching addition to any room.